Attention: faculty information, grants, and repository managers! You’re invited to participate in a project aimed at collecting, augmenting, and making discoverable patterns of faculty collaboration and research outputs through a pilot led by Research Graph and VIVO, and managed by Duraspace as a not-for-profit venture. Create a Neo4j graph database from sample data representing faculty, publications, grants, and datasets information. Exporting GraphML files for data visualisation and network analysis. In addition, we will request participation in the Cloud Pilot Working Group and activities such as User Acceptance Tests (UAT), and feedback of the hosted VIVO instance. Participants will gain experience assessing a hosted service, gathering requirements, and making recommendations for what could become a next generation service to support scholarly communication. 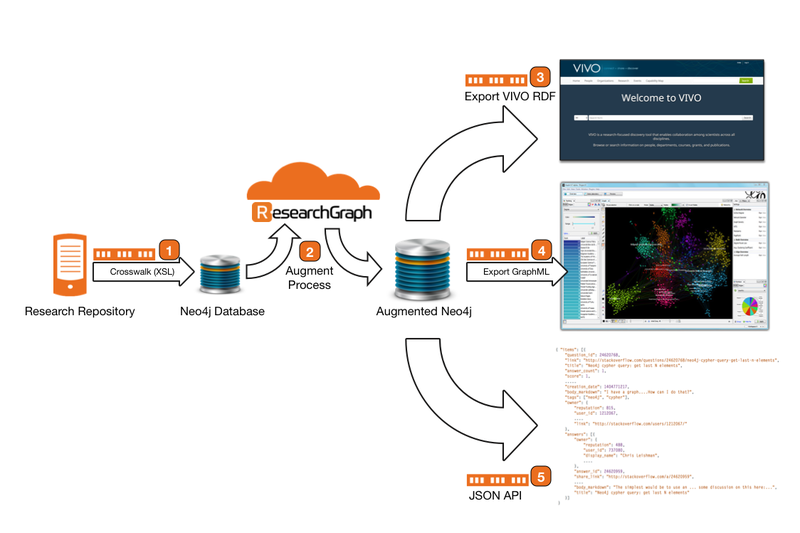 We believe 1) Repositories and Research Institutes, 2) Semantic Web Sites of government and research organisations, and 3) Current VIVO Sites that wish to enrich and augment their data can benefit from the collaboration between VIVO and Research Graph. The Cloud Pilot will have participants representing these three types of organisations. Expression of Interest (EOI): https://goo.gl/wfn7PA. In completing the form, there is no obligation to participate. The project team will select pilot partners based on the scope, focus and extent of the pilot, as well as additional criteria. For more detailed information on this project, please see Duraspace project wiki. For further information, please contact Erin Tripp, Business Development Manager, DuraSpace [etripp@duraspace.org].